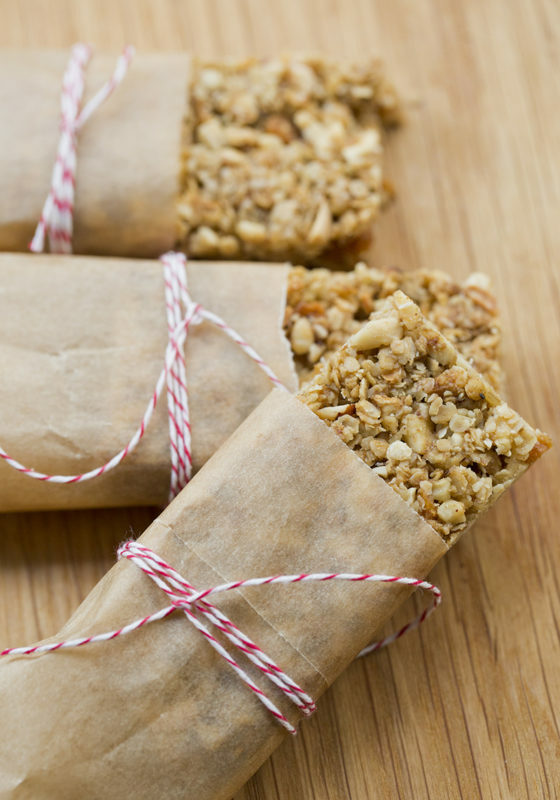 Home made Granola has been a happy- hippie solution to the quick breakfast or on-the-go snack. 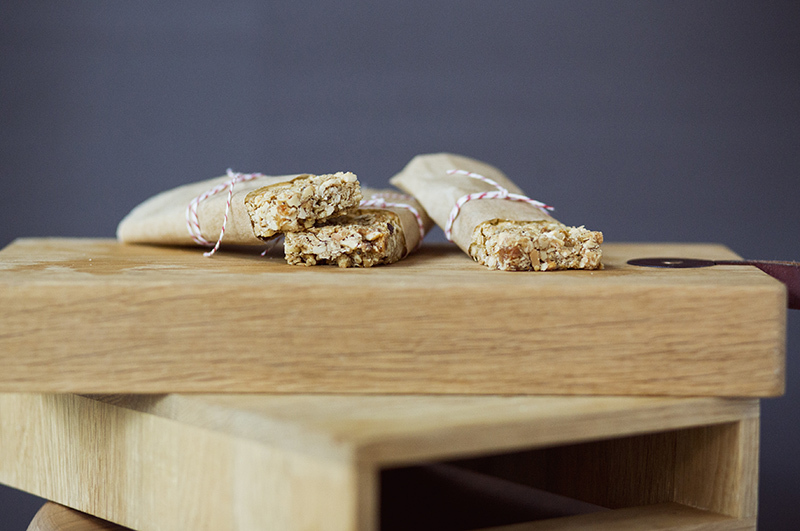 What’s better than a no-bake granola bar? One that has zero junk, preservatives, chemicals or suspicious dyes. Just dates, oats, prunes or dates, honey, and nuts (any kind you want!) make up these tender, chewy beauties. 1. Chop the dates and prunes. Mix together with the orange juice in a blender. Place the mixture in a large bowl. 2. Process walnuts, pistachio nuts, almonds, sunflower and pumpkin seeds in the blender, in 2 to 3 bunches, until roughly chopped. 3. Process old-fashioned, rolled oats in the blender until they are coarsely chopped, but not powdery. 4. Place chopped nuts and seeds in the bowl and mix with the dates using a fork. Add the orange zest, ground cinnamon, ground cloves, chia seeds, chopped oats and honey. 5. Mix well using a fork, and finish with your hands in order to fully integrate the oats into the mixture. 6. Line a 20 x 20 cm baking tray with greaseproof paper. Pour the mixture onto the tray and spread it out well with your hands or with a rolling pin.Cover the mixture with greaseproof paper and refrigerate. After a few hours you can cut the bars into slices. Store in the refrigerator in an airtight container, for up to a week. You can substitute honey with tahini.